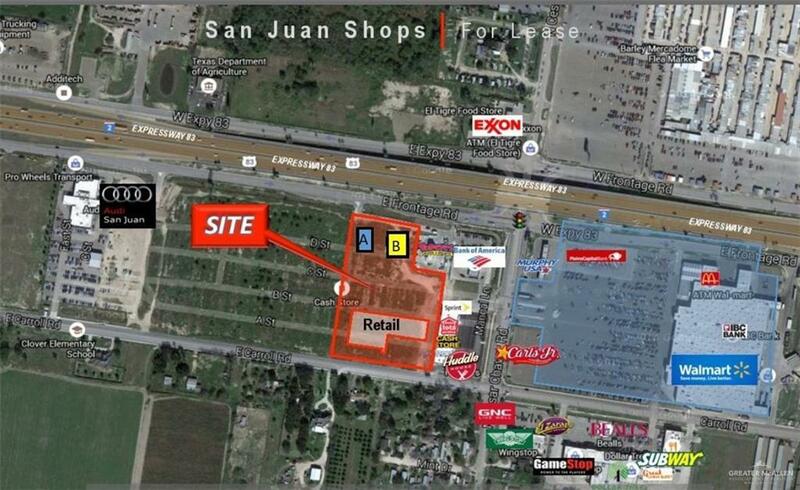 The San Juan Shops are a new-construction development in San Juan, TX. The Development enjoys excellent visibility from Expressway 83 and has easy access from all sides of The Rio Grande Valley. The San Juan Shops are an ideal location for any retail or professional service users and has built to suit opportunities available. IDX information is provided exclusively for consumers' personal, non-commercial use and may not be used for any purpose other than to identify prospective properties consumers may be interested in purchasing. Data is deemed reliable but is not guaranteed accurate by the MLS or The Lucas Sanchez Real Estate Team. Data last updated: 2019-04-23T08:16:24.67.